We do not accept returns for any open or used items. We do not accept returns due to not liking the product if it has been used or opened. We will accept a return if you received the wrong product in your order and provide you with a return shipping label. If a product is defective upon arrival we will provide an exchange only. If we are out of stock of the particular item that was defective we will provide a refund. We do not offer refunds or replacements if only one coil is defective in the pack. For coils to be considered defective they cannot be burned. Coils are considered defective only if they are dead on arrival and do not heat. For exchanges on coils, packing can not be open or taped over. We can not refund or exchange coils if they burn out after using. Once your box has been opened, unfortunately we will not be able to except that opened item. All items must be included in the return to process a refund or exchange. If the box is missing an item, a refund or exchange will not be issued at that time. If an item is missing from your kit (batteries, tank, USB, etc..) we will not be issuing a refund at that time. Missing Items. If you are missing anything from your kit box you will need to contact the manufacture. you a refund. Please make sure before shipping your product back to us, that the item has been unopened, unused, and un--taped and that all items are included. Refunds are only given for defective items that cannot be replaced. Refunds can take 7 days on average to return back to your bank account due to bank processing times. If your item gets returned to us because you provided the incorrect shipping address we will refund your item minus the shipping cost you paid. 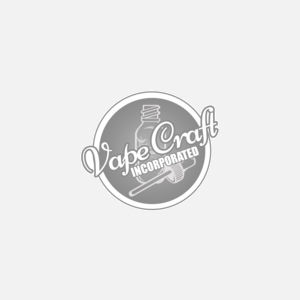 Before returning any products please contact us for approval at support@vapecraftinc.com or you can call us on our toll free line at 760-295-7484. All retruns will require a RMA #.